In a month that could be called, “a full-frame mirrorless revolution”, Panasonic appears to be coming out swinging by announcing not one, but two new full-frame mirrorless cameras that are the lead cameras in their new Lumix S-Series. The Panasonic S1R and S1 bodies are part of a new line-up of full-frame mirrorless cameras made possible through the new L-Mount alliance which includes manufacturers Panasonic, Leica and Sigma that was announced at Photokina earlier this week. The S1 will feature a 47-megapixel sensor while the S1 will feature a 24-megapixel sensor. Both cameras will boast Dual I.S. that works with both sensor and lens stabilization, a high resolution EVF, 3-axis tilting LCD screen and double card slots (here’s throwing shade at you Canon & Nikon) compatible with both SD and XQD cards. As mentioned, both cameras feature Leica’s L-Mount SL system which means that they will be compatible with Leica’s SL lens and adapter family right out of the box. 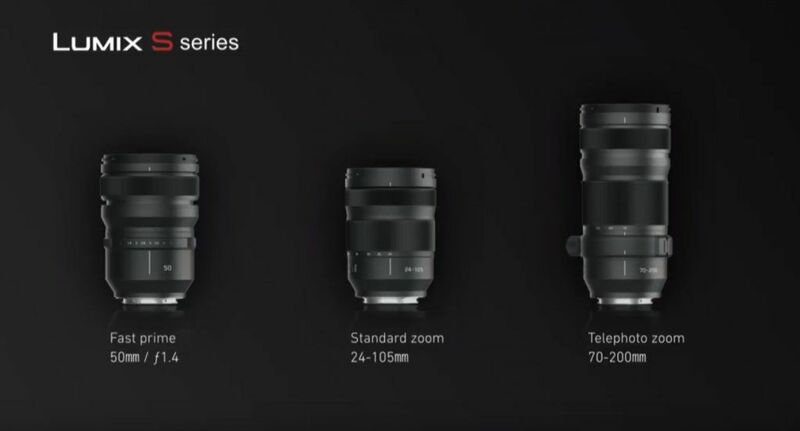 If you’re like the majority of us and can’t afford the Leica lenses, don’t worry, Panasonic also announced 3 new lenses, a 24-105mm, a 70-200mm and a 50mm f/1.4 prime lens. All in all, Panasonic plans to have up to 10 lenses available by 2020. And as if that wasn’t enough, Sigma is also developing a series of lenses for the system, which will include a selection of their stellar Art Series Lenses. As for video, both cameras will be capable of full-frame recording 4K in 50p/60p and that’s about all we know at this point. Fill out the form below to be notified when the Panasonic S1 & S1R cameras become available.